WP Fusion’s Media Tools addon allows you to track engagement with embedded videos and audio on your site by applying tags based on different types of user interaction. By using tag triggers in combination with WP Fusion’s content restriction features you can block access to parts of your site until users have completed watching a video or listening to an audio file. Using this addon with a learning management system such as LifterLMS or LearnDash adds a new level of control to your LMS, letting you unlock courses or lessons only after students have completed watching a video or listening to an audio file. 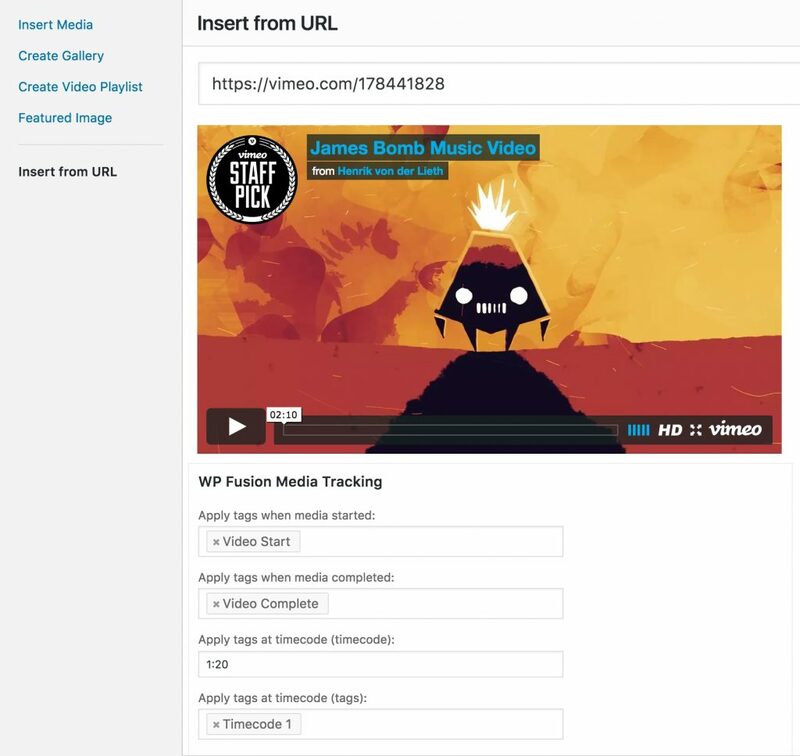 Note: The Media Tools Add-on supports videos embedded with WordPress’ media uploader, Vimeo, YouTube, Wistia and VooPlayer.